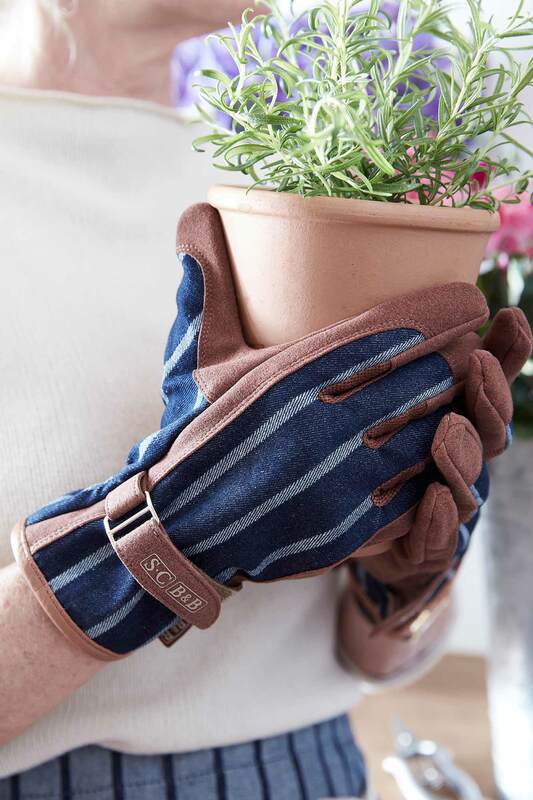 Protect your hands from hours spent busy in the flower beds with our beautiful and practical Blue Ticking Gardening Gloves. 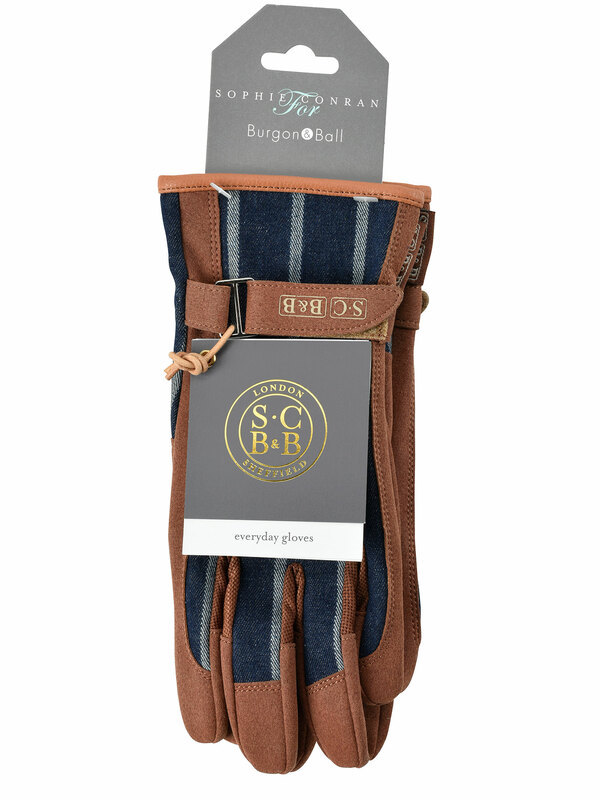 The extra tight weave of ticking makes it incredibly hard-wearing and robust, just perfect for withstanding all your green-fingered endeavours, and in a chic navy stripe and brown suede these gloves look fabulous too. 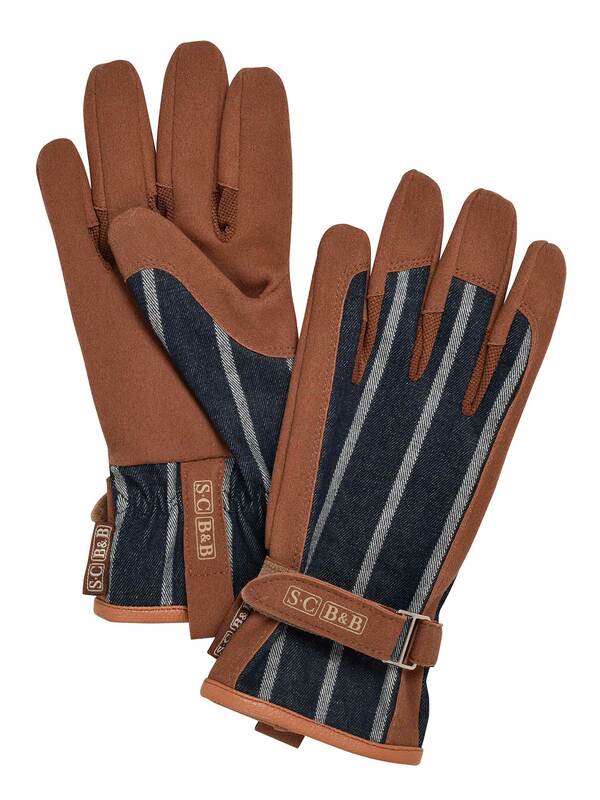 Materials: 100% Cotton; heavyweight, durable fabric. Machine washable (30°).